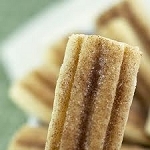 A nuts, rice, sugar and lite cinnamon creamy flavor profile inspired by the popular Mexican Horchata drink. Layers of delightful flavors. Tastes just like horchata. A very lightly sweet cinnamon vape. I ordered this originally for my bf but once I tried it I had to have more and placed a second order within a day or two! This is exactly like the drink! Plus a great all day vape! So far all the flavors I have received are fantastic! Never had the drink, so i didn't know what to expect, but the ingredients were intriguing. Very, very good. Living in California and growing up having this drink, I can say that this is nowhere close to tasting like Horchata. It was missed by a long shot. In all fairness, it isn’t a bad tasting vape though; I just think it should be renamed. This stuff is unbelievable. Don't believe me, drop a sample on your next order and try it. Creamy, nutty with a touch of cinnamon and sugar. A relaxing desert vape that can, very easily be, an all day flavor. I didn't know what to expect but a friend told me about some he'd tried in a Mexican restaurant near here. No joke, AltCig has got it right again. It's a good thing they have very fast shipping. You'll find out why when you taste it and start looking at that little, 6ml bottle. I also received a sample of this and it tasted very good. I had it in my PV for three days straight, and will definitely order more! Very almondy and creamy. Received a sample of this, and wasn't sure what to expect. Boy, it SURPRISED ME! This juice is VERY good ... I'm definitely ordering a large bottle of this one! The cinnamon is very light. Just a nice vape! Horchata is something I'm sure you've tried at a taco shop. 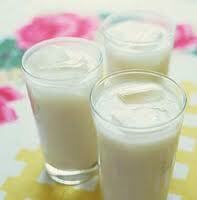 If not, I'll tell you it's a light and creamy sweet rice milk with hints of cinammon the serve over ice. This version of Horchata juice tastes EXACTLY like the drink. I had received a sample from alt.cig and when the last drop was gone, I knew I had to order more. Yummy refreshing stuff! I usually vape Ry4, 555, DK Tab as my all day choices, but this is a great treat. I have spent several days using this as an all day choice.